Woke up to a beautiful white world. 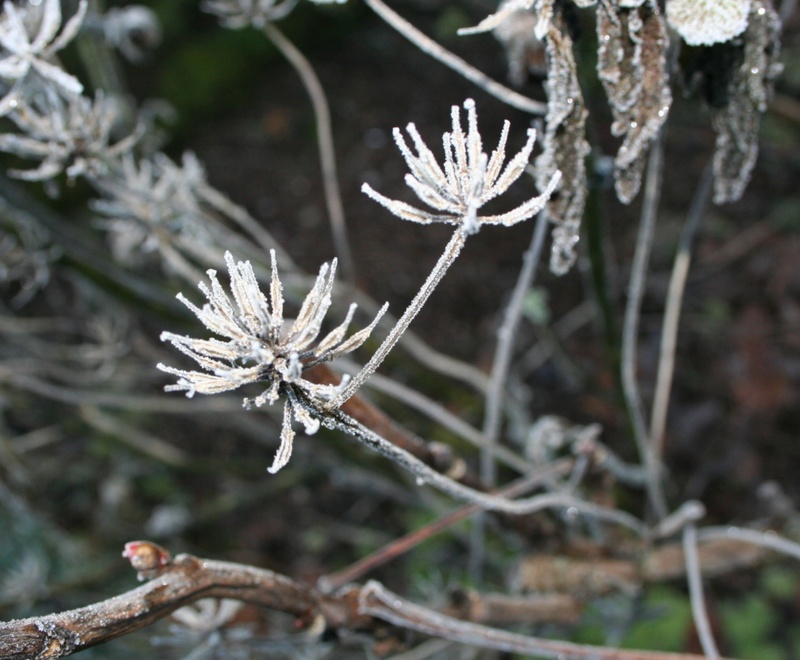 No snow, but a good heavy frost. 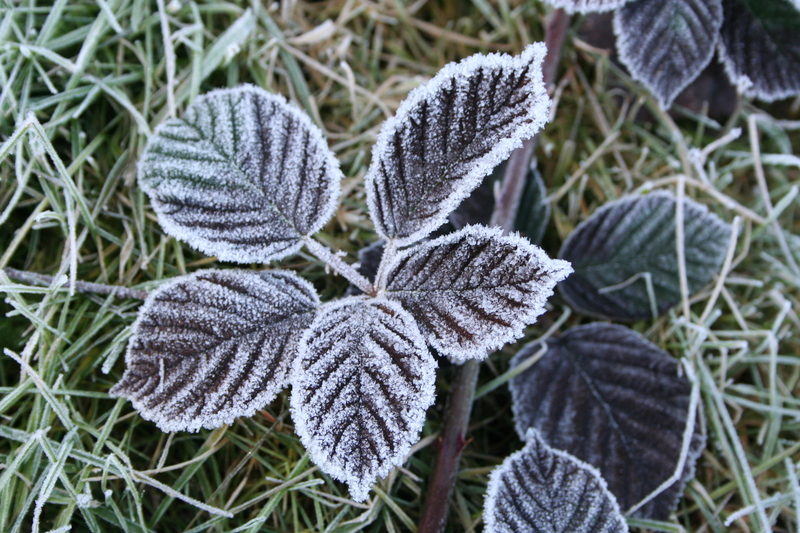 I never tire of the beauty of frost. I get a little tired of the cold sometimes, but never tired of the beauty. It even transforms Himalayan blackberries into something of beauty. 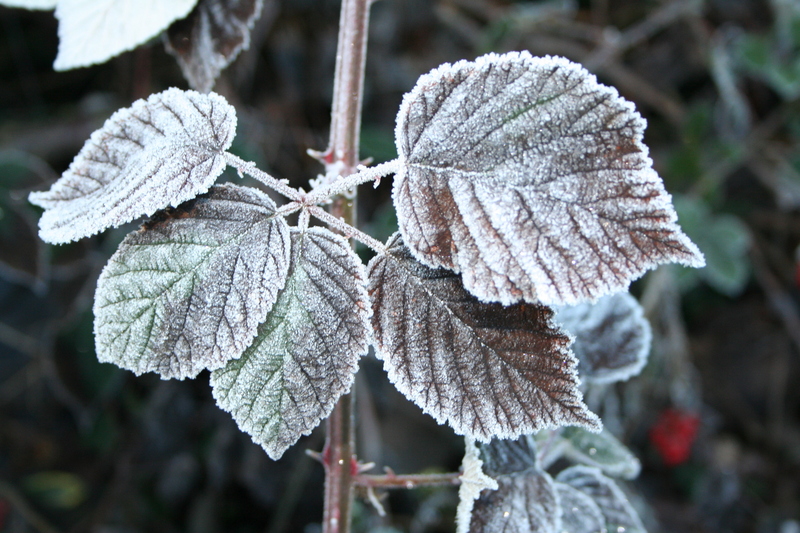 Aside from my deep-rooted dislike for that particular variety of blackberry, there is the frost. 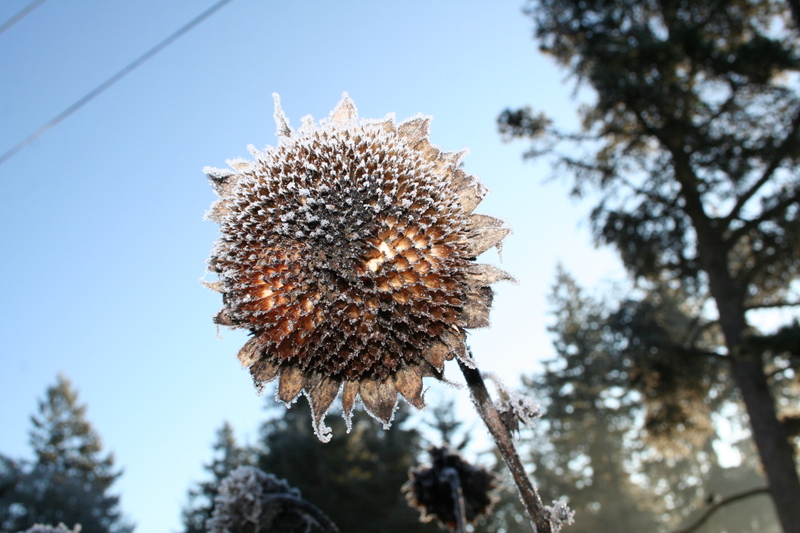 And the frost makes the vine beautiful. A powdered-sugar coating of ice that makes life just a little bit sweeter.